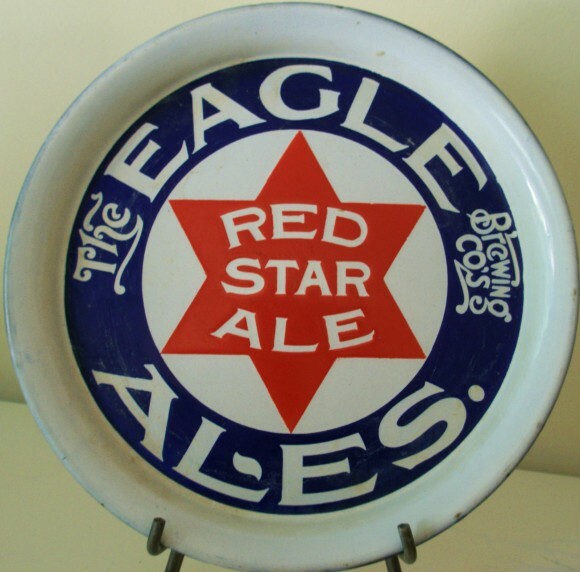 Serving Tray for Red Star Ale from The Eagle Brewing Company, Providence, Rhode Island. The tray shows a large six-point red star in the center. The fonts in the blue border are very unique and whimsical. I’m unsure whether the six-pointed star is a reference to the Jewish faith or if the company was owned by Jews. At any rate, this tray is definitely interesting.